PARENTS IN Reseda & Canoga Park ARE ASTONISHED BY THE POSITIVE IMPACT MARTIAL ARTS CLASSES ARE HAVING ON THEIR CHILD! Our fun program for 3-4 year olds consist of 30-minute classes offered twice a week. This class begins with the very basics of martial arts and helps young students achieve discipline, focus, respect, confidence and coordination. They'll improve their listening skills, self-esteem, gross motor skills, and more. We recognize that 3 to 4 year olds have very different developmental needs than their older counterparts. This program bridges that developmental gap and prepares students for the next level of their training. Besides from making children fit and teaching them cool self-defense moves, it also teaches the life skills your child needs like confidence, leadership and self control. This program is a detailed curriculum that focuses on improving pre-school age children's basic motor and listening skills. These skills help them enter society with a more confident and enthusiastic outlook. They become better students at school, better listeners at home and more ambitious towards the future. Our program enhances positive development in a fun and motivating way. 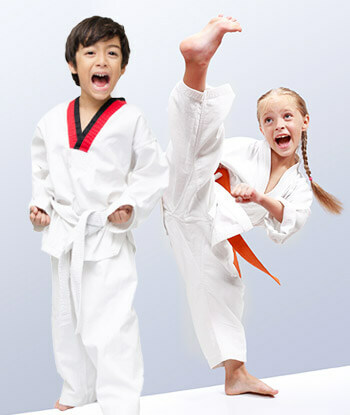 The Lil Ninjas program also prepares your child for the Basic Program. 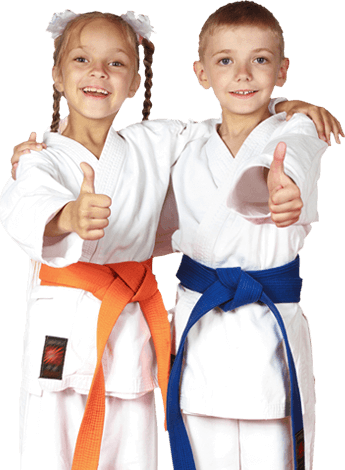 Your child will develop confidence, discipline, leadership, self-control, and stress relief as a student of the martial arts. The process of learning these self-defense techniques is about building confidence. Your child will learn not only to respect others, but to have self-respect as well. The lessons about respect your child learns through martial arts will mold them into a better person overall. The Junior Basic Program is designed for students to get a feel of what martial arts is all about. 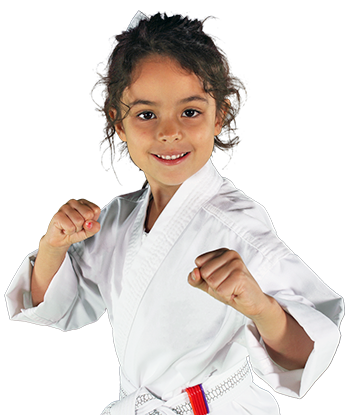 Children learn self-control, focus, discipline, self-defense, confidence & respect. Black Belt Club members enjoy belonging to an elite group of dedicated students who study advanced Taekwondo training to gain a more well-rounded martial arts experience. It is for students who are ready to make the commitment to achieving Black Belt Excellence. Children in this program have the extra opportunity to learn basic sparring and weapons training. Weapons training helps children with coordination, dexterity and strength.